Javaughn Espritt, 6’7”, 220 former star at AVC is now playing ABA professional basketball with the LA Slam of Antelope Valley. Former Antelope Valley College player and Lancaster High graduate Javaughn Espritt is one of two Valley natives on the Slam’s roster this season, and he said it’s a great experience playing along side several former NBA players just five minutes from where he lives. Espritt said one of his former coaches at AVC notified him of the Slam’s tryout in Los Angeles, and he was able to play his way onto the team from there. I ran into Javaughn Esprit, today working out at 24 Hour Fitness. 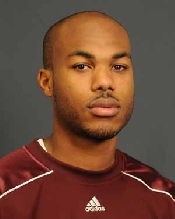 Espritt looks like he did when he led AVC to the State Tournament “way back when.” After graduating with his degree on scholarship from the University of Campbellville and played professional ball for ABA LA Slam, he joined the County of Los Angeles where he currently is in management and doing very well in his life of basketball. Congratulations Javaughn…keep up the good work. Ja Vaughn is an excellent player hope to see him play in the NBA teams…hope he makes the Lakers or Clippers.